According to the Human Development Index (HDI), India fell one place on the list of country rankings. 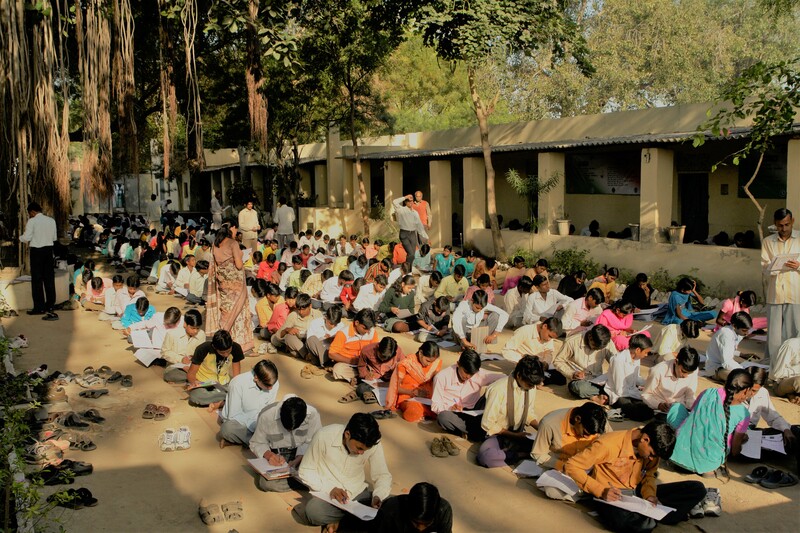 MSc International Development and Humanitarian Emergencies Candidate, Emma Smith, explains why the HDI falls short in measuring development, and why India might be doing better than we think. India is a country that saw rapid 7.1% growth in GDP in 2016 alone. Yet as An Uncertain Glory: India and its Contradictions notes, “The high achievement story…conflicts somewhat with India’s mediocre performance in the progress of quality of life, as reflected in the standard social indicators.” This is illustrated by the fact that while this GDP growth occurred, the Human Development Index (HDI) fell from 130th to 131st on the list of country rankings. This article argues that the Human Development Index (HDI) does not accurately capture the full reality of Indian development. HDI is currently the only major alternative measure to GDP, yet it is not sophisticated enough tool. Using a more complete measure of development, it is possible that quality of life in India is better (or possibly, worse. But this article takes the optimistic view) than it appears. The HDI is supposed to be an index that operationalizes Amartya Sen’s capabilities approach, an economic theory asserting that, “the purpose of development is to improve human lives by expanding the range of things that a person can be and do.” However, the HDI in practice focuses too narrowly on capabilities for education, life expectancy, and income. It fails to fully account for many other important capabilities in development, such as political and social factors. Empirical findings from this paper by scholar Mark McGillivray show that the HDI generally “reveals little more than any one of the preexisting development indicators alone reveal”. This article introduces one important capability that should be included in the HDI: the capability for political freedoms. In India, the poor’s access to political freedoms has resulted in positive development outcomes. Since the 1940s, when India transitioned from colonialism to a sovereign democratic republic, politics have maintained a commitment – albeit a vague one – to the poor. As Atul Kohli notes, these politics “found expression in land redistribution and the laws governing employment of urban labor.” As such, the political dimension is an important one to consider while working to create a more whole view of development in India. In India, an interesting paradox lies in the practice of poor voters casting their ballots for elite and wealthy parties. This paradox can be explained in that, by voting for these elite parties, the poor are able to access material goods. In several states in India, the Hindu nationalist Bharatiya Janata Party (BJP) provides for the poor and gains votes by their “outsourcing the provision of public goods to the poor through non-electoral organizational affiliates”. The poor are able to directly benefit and improve their capabilities through this form of access to local public goods, such as education and health services. Not only this, but by having the political freedom to cast their vote for these parties, the poor are also able to circumvent the need for patronage politics. This is particularly good for development as studies show that political clientelism slows economic development and impairs democracies. This section highlights another key capability that the HDI excludes: social mobilization and empowerment. The capability to collectively organize and bargain has enabled the poor to achieve positive development outcomes. In West Bengal, residents organized to become identified as a distinct population group that could receive the benefits of a governmental program. This happened in 1986, when a man named Anadi Bera set up an association of the residents of the colony called the People’s Welfare Association. He gained the support of local officials and residents to start a major health and literacy program for children of the slums. The scheme is one example of many of how the residents of this particular squatter colony were able to organize to receive the benefits of a governmental program. This kind of social empowerment also emerged from the Mahatma Ghandi National Rural Empowerment Guarantee Act (NGNREGA), India’s flagship social protection policy. The poor were empowered through processes of rights-based law, which resulted in “both increased wage levels in agriculture and a strengthened bargaining power of rural wage laborers.” Through widespread empowerment, this increase in wage levels impacted all of the rural poor who work in agriculture, not only those who were a part of the social protection scheme. The mobilization and empowerment of the poor has helped them to access governmental programs, such as health and literacy. It has also helped them to increase their wage levels and strengthen their bargaining power. These tangible results of the capability for social mobilization and empowerment have arguably been good for Indian development. Yet, again, as in the case of political freedoms, these capabilities for social mobilization and empowerment are not measured in the HDI. The HDI as an index is not a comprehensive enough measure of development, and to be improved, should include a wider range of capabilities. Further research could consider capabilities like those listed by Martha Naussbaum, such as affiliation or practical reason. In looking at the limitations of the HDI, we should remember also to examine the other tools, practices, and ideas in international development that could be outdated or lacking. The field of international development suffers, like many others, from sluggish progress. We must fight against this by more actively identifying the weaknesses in our field so that we can work to strengthen it. Poverty, disease, and the other great challenges of today will only be exacerbated by population growth, climate change, and the other challenges of tomorrow. So, now more than ever, we must use critical eyes to spot the limitations – like the HDI – in our current system so that we can better equip it to serve the future. Emma Smith (@emmyagsmith) is an MSc Candidate at LSE in International Development and Humanitarian Emergencies. She completed her BA at Duke University in International Comparative Studies, Arabic Literature, and Innovation and Entrepreneurship. Her research interests are in technology, private sector, and behavioural insights for crisis preparedness and response.